Welcome to Hydrogenaudio Forums. Please login or register. EAC: how important is the read sample offset correction value? My experiences in flashing various custom ROM's and sound mods. New releases are now shorter, is streaming overriding artistic creativity? Popular music is shrinking. From 2013 to 2018, the average song on the Billboard Hot 100 fell from 3 minutes and 50 seconds to about 3 minutes and 30 seconds. Six percent of hit songs were 2 minutes 30 seconds or shorter in 2018, up from just 1% five years before. Stands to reason if artists are being paid per stream, long gone are the 10 or 15 minute tracks. I had to reset something with SELinux that was preventing the forums from invoking the sendmail process, which randomly popped up on a software upgrade. I officially hate SELinux even more than when I had to set up the exemptions just to get the forum script working in the first place. If this happens again, I am outright disabling SELinux. Piece of crap. 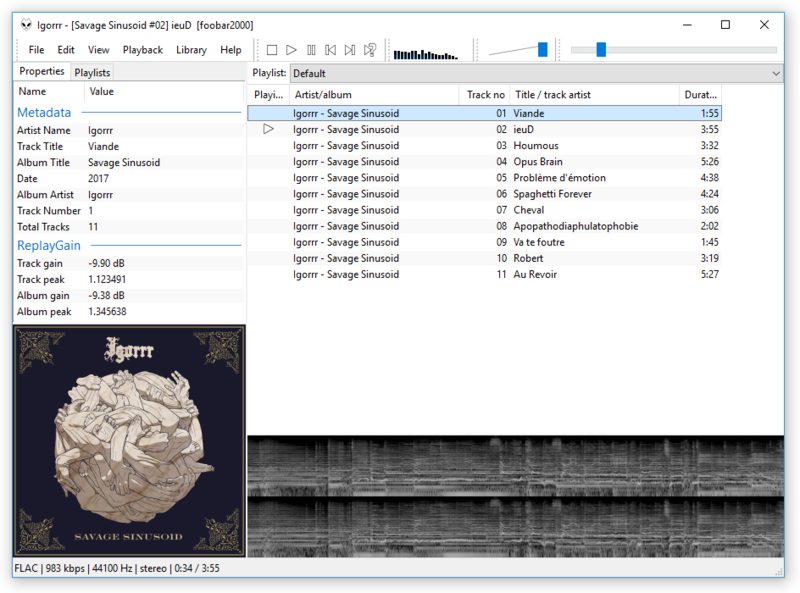 This new version of foobar2000 contains some major ui improvements, feature enhancements to the replaygain scanner and converter, and also new features like webm streaming support and the ability to choose between alternate audio streams in MP4 and Matroska files. Latest Post: "Re: Columns UI" ( Today at 08:50 AM ) - View all recent posts.